I'm looking for a company that makes harvesting equipment for hobby farmers....especially 2 or 3 row pull-type combines. My neighbor is in her late 80s and raises confectionary sunflowers. Her business is growing and she's interested in producing a much larger crop next year. She has a fairly large older tractor, but would like a small combine to pull behind it. 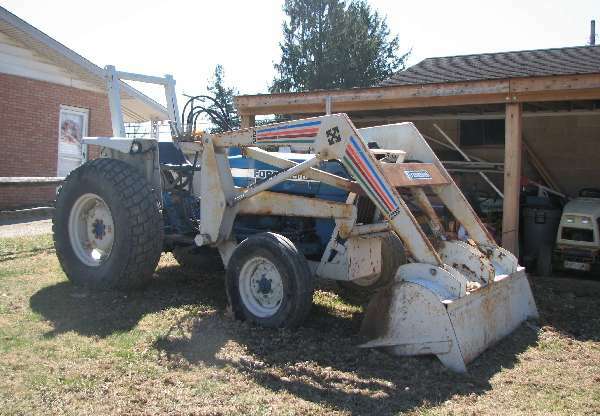 With the increasing number of hobby farms in this nation, I would think somebody is building harvesters to use on small acreages.......but I have no idea where to start. Any help would be appreciated. I'll pass along any info or suggestions I receive here. Joel, I'm in an area that would use those combines if they were available in two or three row pull behind but they aren't. You could look at the older units that are self propelled with a two or three row wide head on them to possibly work. I never did see a pull behind combine with a corn head but I'm sure someone tried it somewhere. I've never seen sunflowers raised to the point of needing a harvester for them but there must be a head out there for them. Just wondering, how does she handle that now? Is it possible it enlarged or is it all by hand? She's in her 80s, but that hasn't slowed her down one bit. She raises over 70 chickens, and collects the eggs twice a day. She has a garden that covers about two acres, and she cans most of the goods she produces. she's been hiring my son and few other teenagers in the area to help her. But now that this end of the business is growing so fast, there isn't enough available labor to make it work. In order to produce enough sunflowers to fill the orders she has, she's going to have to automate at least part of the operation. Harvest is the most labor intensive part of the process. Art, I can't remember the model number but the last series of Allis Chalmers pull type combines that were built had a two row cornhead available. A neighbor of ours had one sometime in the late fiftys. This same neighbor had the first Case Model 600 self propelled combine (no cab) in the neighborhood with a two row corn head, it cut the entire stalk with a kinfe similar to a corn head for a forage harvester and took the whole stalk thru the combine, needless to say power was an issue so that idea was dropped quickly. Case also had a cornhead for one of their last pull type combines from sometime in the fiftys also. The only one I ever saw belonged to my wife's Uncle. I'm also quite sure that if you will check the IHC archives website at The University of Wisconsin in Madison that a corn head either was experimented with or offered for the Model 80 IHC pull combine, but I never saw one. Frank. Frank, I'm sure that some company must have at least experimented with a corn head on the pull behinds combine. I'd think that the big problem would be the weight of the corn head comparing to the grain head. Joel, we have a similar situation up here, a neighbour, in this case though a young couple, granola warrior types, who raise sunflowers, but as organic snack food. After much trials and tribulation an old fellow down the road advised them to find an old Allis Chalmers Model 60 "All Crop" pull type combine. This machine used a different principle than 'modern' combines do, it is a one head fits all crops style, the cutter is a simple sickle bar cutter which cuts the stalk at the desired height, there is a rotating set of paddles that look like they belong on a paddle-wheel steamer which then lays the crop over onto a flat smooth conveyor belt that carries the crop up to the processor section. They were designed for things like grain crops which is what you need for a sunflower, otherwise all the seeds will get beaten off the heads before they get off the field. A quick search helped resolve my curiosity on this thread. Hopefully, the link below will help others as well. I wonder if there is something that would be "out there" from overseas being marketed here to small farms or hobby farms. Maybe even gray market stuff. BTW -- I remember these units after seeing the pictures in the link; my dad was a Zone Sales Manager for Allis-Chalmers Farm Division in central Illinois for a few years in the early-to-mid 60's. I would sometimes accompany him during his dealer visits. That was before he signed-up with Kiekhaefer, to later become Mercury Marine, as a Zone Sales Manager in '68. Now my neighbor tells me that her son is involved with some ag college in Missouri. In the process of developing new crop strains (genetically engineered crops) they harvest their test plots with an ALMACO SP20. I looked it up and found this. It's a self-propelled, two-row combine, requiring two operators, as it doesn't have a large hopper. Now.....if only I could find a pull-type made by ALMACO, she'd be in business. Again, many thanks for the info. I'll look into it, as the auction business is in full-swing around here, now that harvest is over. I might be able to find one for her at a local auction. Thank you, too, Sir! I found a whole lot of info on the AC 60 pull-type, but nothing that would allow the neighbor lady to harvest row crops with it. As for the model 66, I'm in the same bind. No row crop headers.....though I did find two machines for sale at tractorhouse for under 3500 dollars. WE'RE MAKING PROGRESS HERE! Thanks to all who have offered the help and the suggestions!